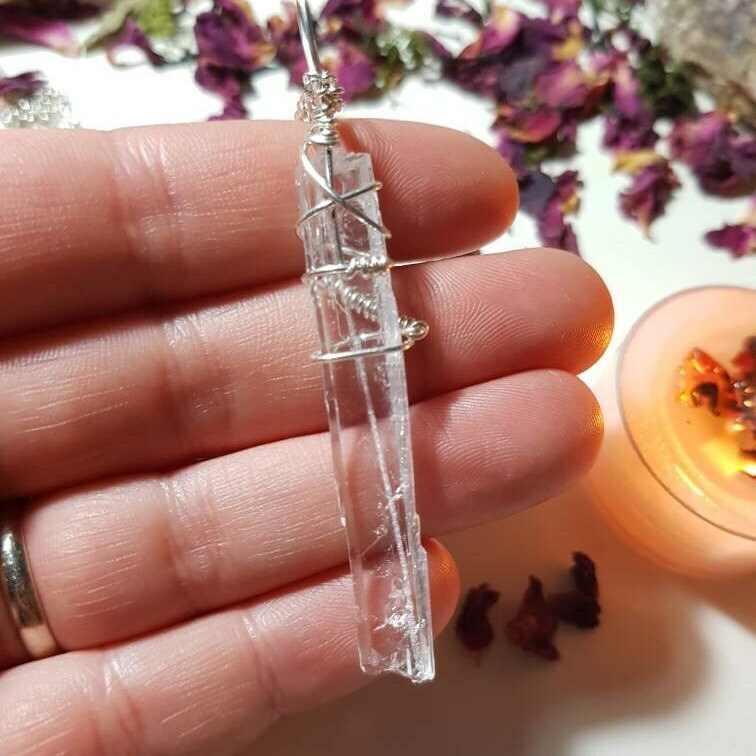 Faden Quartz necklace. Faden Quartz is from Baluchistan, Pakistan, India. 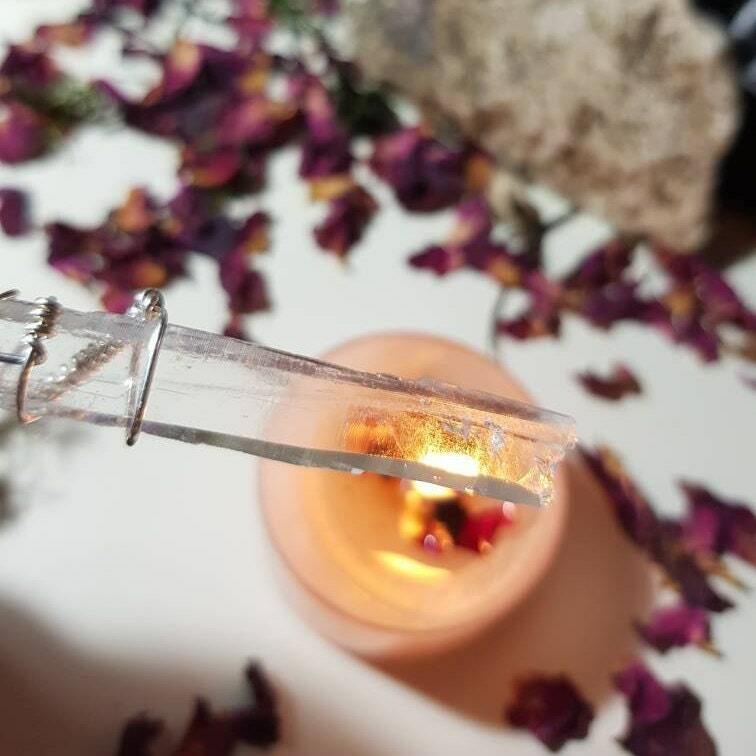 Faden Quartz Crystal aligns the physical meridians and the nervous system. It also balances all levels of being – physical, emotional, mental, and the etheric fields. 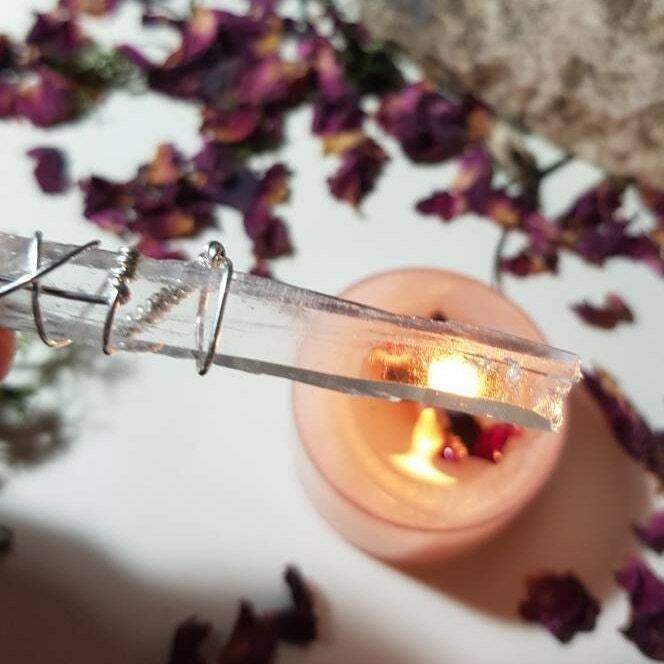 Faden Quartz may also be used to cleanse the aura and stimulate the opening of the chakras. 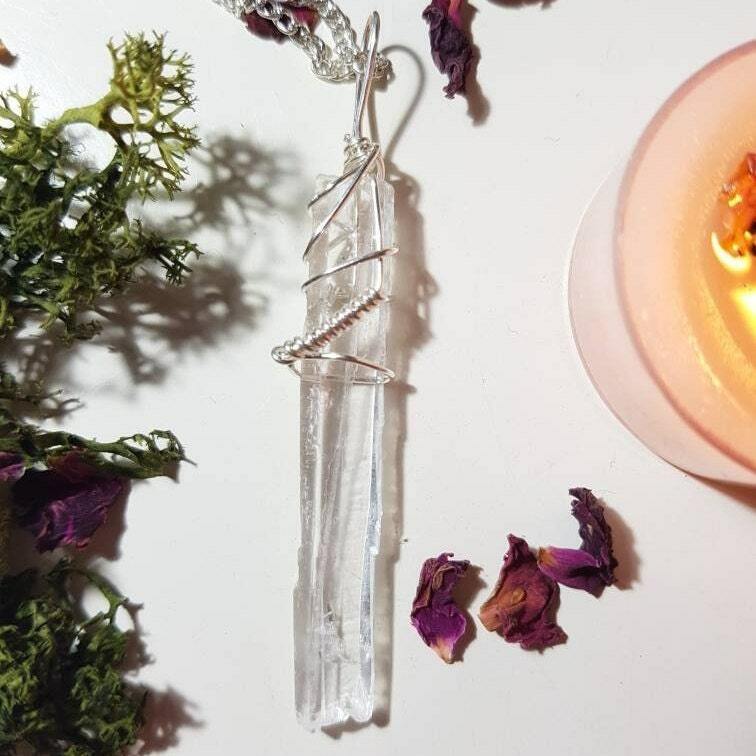 Faden Quartz can be used to stimulate healing of any dis-ease, as its function is to harmonise the higher vibrational energies of the aura, light body or subtle body. It is believed that physical dis-ease is a consequence of dis-harmony in the energies of the subtle body. Wire, chain and findings are silver plated. Necklace measures approx. 50cm. Pendant measures approx. 7cm x 1.3cm. 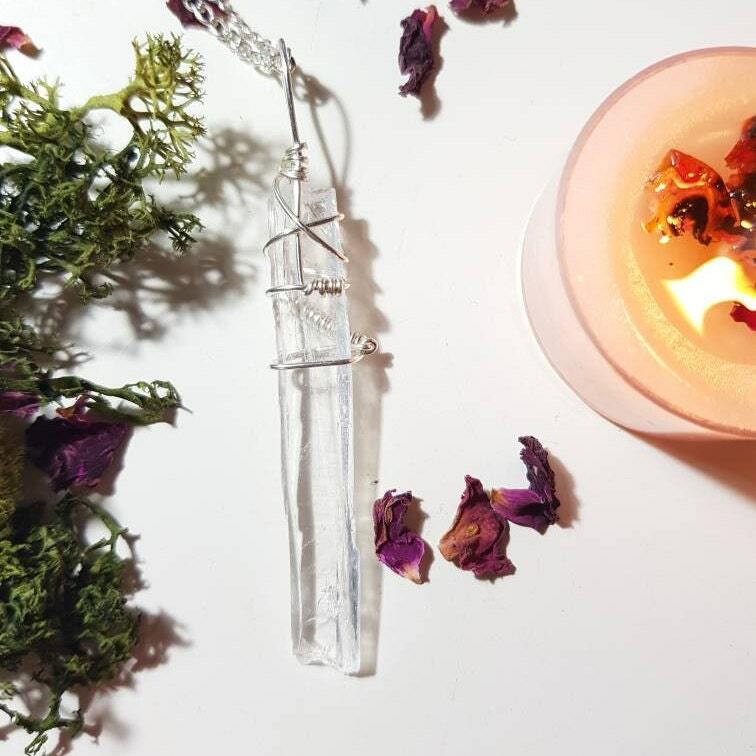 Comes with details of properties of the crystal and an organza bag.